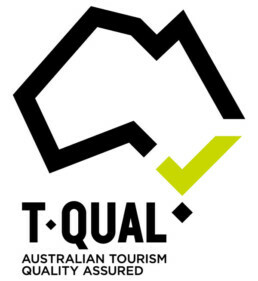 Southern Exposure is certified by Eco Tourism Australia & carries the TQual – Quality Tourism Accreditation and is Global Sustainable Tourism Council approved. This document outlines our commitment to environmental sustainability as well as our accomplishments and current initiatives. As a leading outdoor adventure company, Southern Exposure is committed to minimise the impact of our operations on the environment. 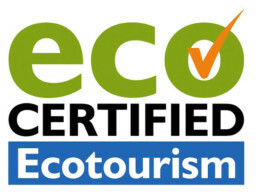 Our goal is to operate in an ecologically sustainable manner by reducing waste and the use of energy and resources. We have partnered with Greenfleet, Australia’s most trusted source of bio diverse carbon offsets, to offset the emissions from our fleet. Every year, we calculate the amount of greenhouse gases generated by our operations fleet and Greenfleet plants enough native trees in Australia to capture our emissions. As they grow, these trees form permanent forests, which do much more than sequester carbon. Greenfleet’s forests re-build vital habitat for native wildlife, improve water quality in catchments, prevent soil erosion and salinity, and safeguard Australia’s unique biodiversity. In 2015-2016, we will have offset approx. 15.30 ton of CO2-e with Greenfleet. We are publicly committed to offsetting our greenhouse gas emissions by partnering with Greenfleet, Australia’s first bio diverse carbon offset provider. We are taking on a leadership role in an area where we can make a difference and set an example to our industry. Powershop is part of Meridian Energy, a 100% renewable energy generator (in fact the largest 100% renewable energy generator in Australasia). Meridian Energy in Australia operates two wind farms and these wind farms produce more renewable energy than the total energy Powershop sells. So every dollar you spend with Powershop will help us support renewable energy. Powershop offers 100% GreenPower accredited products and Meridian Energy’s Mt Millar wind farm in South Australia is a 100% GreenPower accredited generator. You can purchase 100% GreenPower products from Powershop that involve us voluntarily surrendering additional Renewable Energy Certificates to encourage even further investment in renewable energy than the Government mandates under the Renewable Energy Target. We also provide opportunities for you to choose which renewable industry you wish to support including community energy projects, landfill gas, energy from sugar milling and other wind farms. There is a higher charge for these products as we purchase the additional certificates from these renewable projects and therefore pass on the benefits of your purchases to them. Southern Exposure ensures a positive relationship with Land Managers including Parks Victoria, Great Ocean Road Coast Committee, Surf Coast Shire, Colac Otway Shire, Barwon Water & Barwon Coast Committee to ensure quality of parkland is maintained and all rubbish is allocated to correct bins provided i.e. recycling. Our objective for 2015 – 2016 is to strengthen our environmental programs and deepen our partnership with the environmental not-for-profit business, Greenfleet. We are currently in discussion with Greenfleet regarding a partnership at our 2016 Run Forrest event. This would include offering participants the option to donate to Greenfleet online to offset their travel to the Run Forrest Trail Run. By donating to Greenfleet participants are taking practical climate action, which helps restore Australian landscapes with sustainable, native forests.